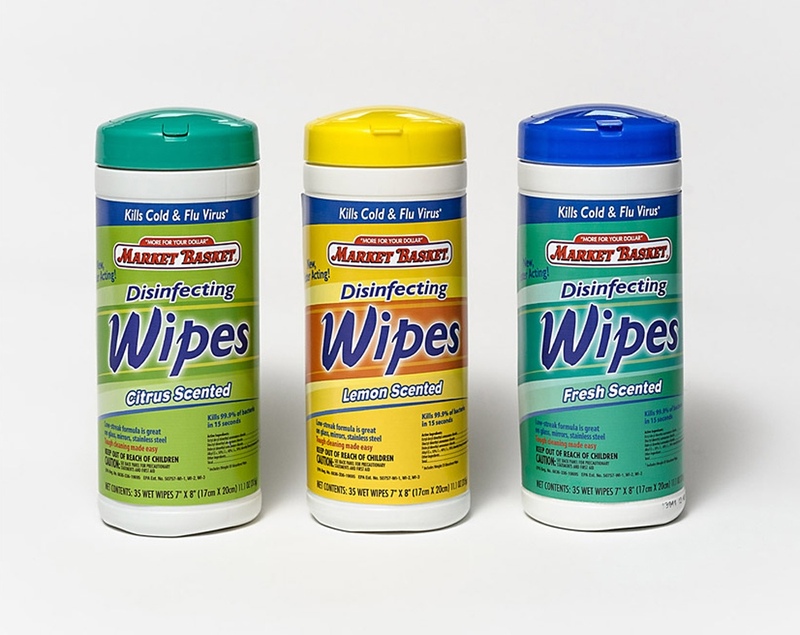 Upgrade Disinfecting Wipes labeling to convey national brand product quality. Brand Identity: Maintain logo color equities and create consistency across the brand. front label to confirm product authenticity. Overall: Combine category cues with unique brand design approach.